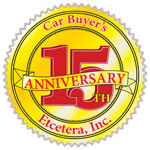 Car Buyer's Etcetera is dedicated to those consumers who would like to achieve their goals of finding and purchasing a vehicle without the haggling and hassle of everyday car buying. Our goal is to level the playing field and make sure you (our client) is not only satisfied, but placed back in a position of dignity when purchasing an automobile. Our dedication of helping those with problems in buying, negotiating for a vehicle, and realistically putting people back on the highways, has always been what we've strived for everyday. Whether you're buying new or pre-owned, with good, excellent, or poor credit, we're waiting for your call, and ready to assist you! The question should be, can I afford to make the same mistake again with another car purchase? "When was the last time a car salesman cared enough to show you, HOW TO NOT PAY TOO MUCH?" They have the knowledge to do so, but they can't, because if they did, they couldn't make the huge profits they often times do on your lack of knowledge. "At Car Buyer's Etcetera, Inc we can; because we don't get paid off high interest rates, down payments, price, or inflated monthly notes!" With over 15 years of combined experience, it's no wonder we are the #1 Premier Car Buying consulting business, with quality dealers and dealerships nationwide ready to assist us. "We came to our local Car Buyer's Etcetera and they were extremely efficient in helping us to reach our goal of owning two vehicles. They helped us to make the right decisions, kept us from buying the wrong way, and even had one of the cars we purchased inspected before we signed for it. Also because we used their "Executive Package" & "Pampered Woman's Package", we're now added to CBE's Family Add On Plan. 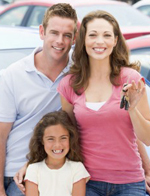 Our next immediate family member car purchase is free! And that'll come in handy for our daughter's graduation in about 6 months! 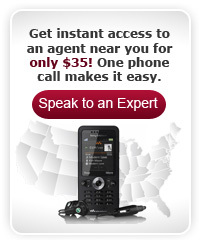 Now that's what we call "Getting the Car Buyer's Etcetera Advantage!" - Richard & Kerri B. "Like Us" on Facebook and recieve a 15% discount on any service.